Greg Blanchard has been fishing his entire life and kayak fishing since 2011. He has also been a Traveling Physical Therapist since 2013 which has allowed him to travel the entire country and fish many bodies of water. 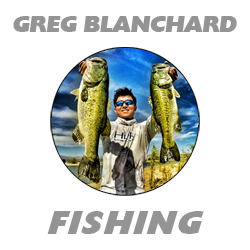 Aside from Physical Therapy and Fishing, Greg’s other passion is sharing his experiences with the world through his YouTube channel. Whether it be rehabilitating an individual after knee surgery or showing someone how to fish a frog, Greg’s passion is helping people and promoting the things he enjoys.